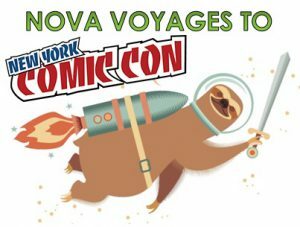 Harper Voyager at NYCC 2016! Hey there, SFF fans, con-goers, and disciples of Nova! If you’re attending NYCC 2016 this weekend, be sure to stop by the Harper Collins booth (#2118-2119), and say hi to our authors at their panels and signings. Here’s a full list of all Voyager-tacular activities, to facilitate getting your geek on. Enjoy!